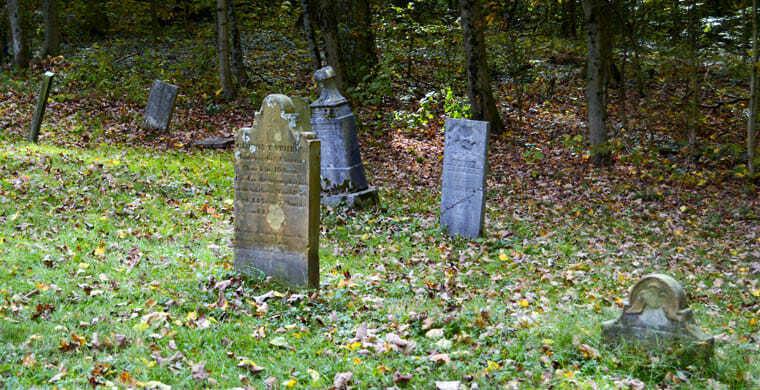 Cemeteries are often thought of as sad, creepy places to avoid. We believe that cemeteries are full of life, rather than death! They contain historical and genealogical information about our past, as well as unique architecture and symbolism which reflect the cultural burial beliefs of our ancestors. Most cemeteries are also serene sites with beautifully landscaped grounds, offering respite from our busy lives. Here are our 19 picks of the most magnificent cemeteries around the world. 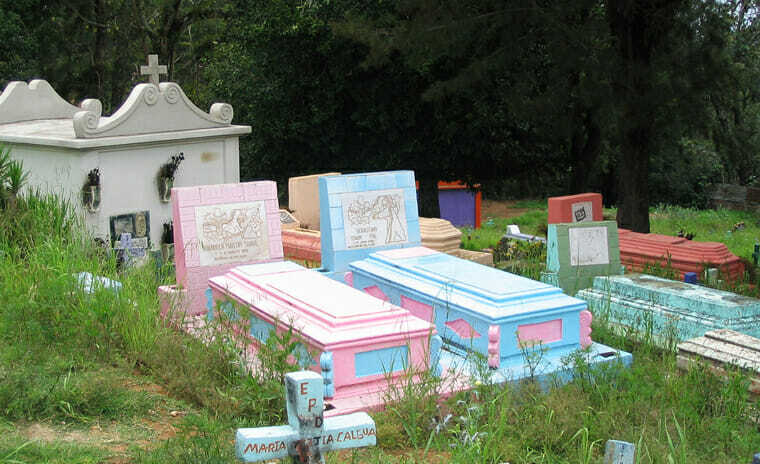 Located on a hill in the small Guatemalan town of the same name, Chichicastenango Cemetery is famous for its colorful graves of all shapes, sizes, and shades. The bright pastel and deep red hues which decorate the tombs and mausoleums in Chichicastenango are symbolic to Mayan burial traditions and rituals (some of which are still practiced today by the locals). 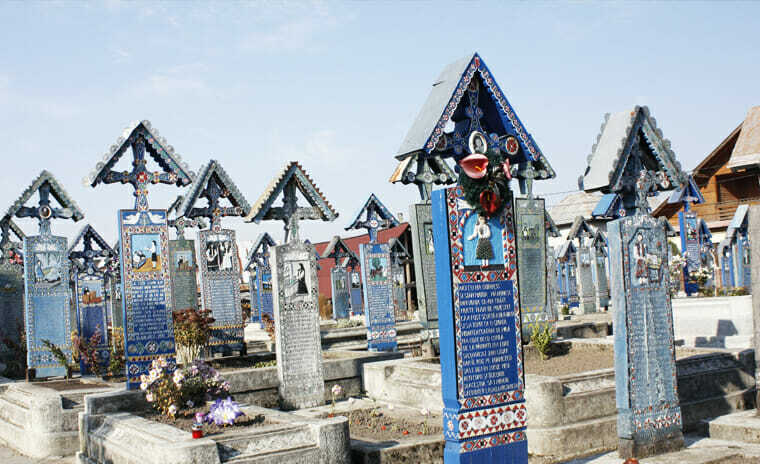 This unique cemetery and tourist attraction in the village of Săpânţa in northern Romania is well-known for vibrant tombstones that depict the life stories of those that lie beneath. Epitaphs on the colorful wooden crosses at Merry Cemetery are refreshingly honest and candid, providing sweet and sordid details about the lives of the deceased. These make for interesting reading as you stroll through the scenic graveyard. Okunoin Cemetery is an ancient buddhist cemetery located in the Mount Koya area of Japan. With over 200,000 graves – marked by distinctive headstones and monuments – it is the largest cemetery in Japan. 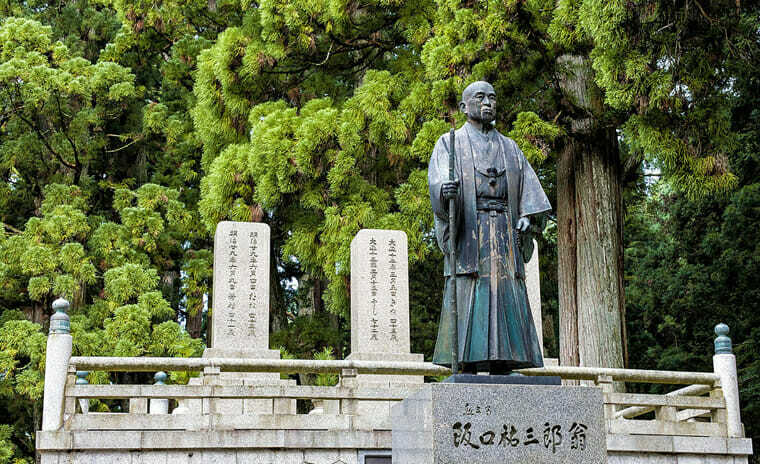 Okunoin Cemetery is the final resting place of Kobo Daishi, a famous Buddhist monk and scholar who founded the Shingon school of Buddhism. Thousands of lanterns always stay lit in Kobo Daishi’s mausoleum, where he is believed to lie in eternal meditation. 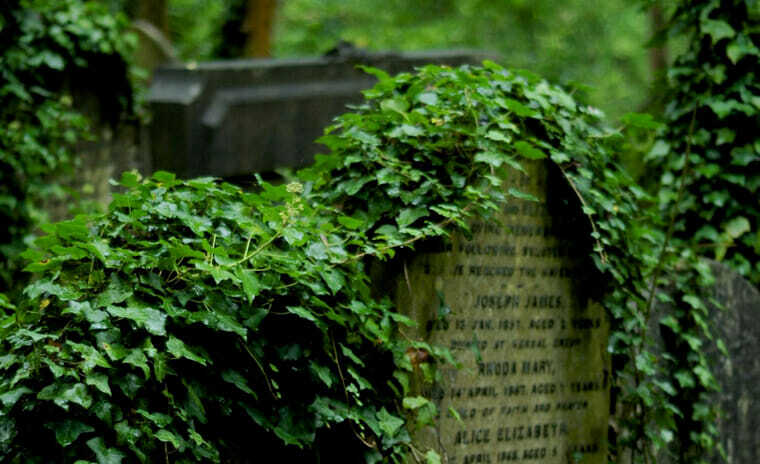 Highgate Cemetery is a world-famous cemetery located in the suburb of Highgate in London, England. It opened in 1839 and is still in operation today, with interments taking place year round. The most famous resident of Highgate Cemetery is Karl Marx (sociologist), and in addition to other notable residents (such as poet Christina Rossetti and popstar George Michael), the architecture, historical significance, and romantic landscape attract thousands of visitors annually. Punta Arenas Cemetery in Punta Arenas, Chile is known for its elegant mausoleums and beautiful cypress trees that adorn the burial pathways. Founded in 1894, legend has it that Punta Arenas’ most famous resident, Sara Braun, asked that no one else pass through the stone gateway leading to the cemetery after her death in 1919. As she was one of the richest women in Patagonia, she donated the enormous gate to Punta Arenas Cemetery, and to this day, it remains closed per her final wishes. Opened in 1804, Père Lachaise Cemetery is now the largest cemetery within the city of Paris. The graveyard boasts 44 hectares of tranquil park greenery, and attracts millions of visitors every year. Many famous individuals – including Frédéric Chopin, Gertrude Stein, and Jim Morrison – are buried within the walls of Père Lachaise, and the cemetery is still open for burials (although the waitlist is extremely long). Bonaventure Cemetery in Savannah, Georgia is one of the most beautiful public cemeteries in North America. 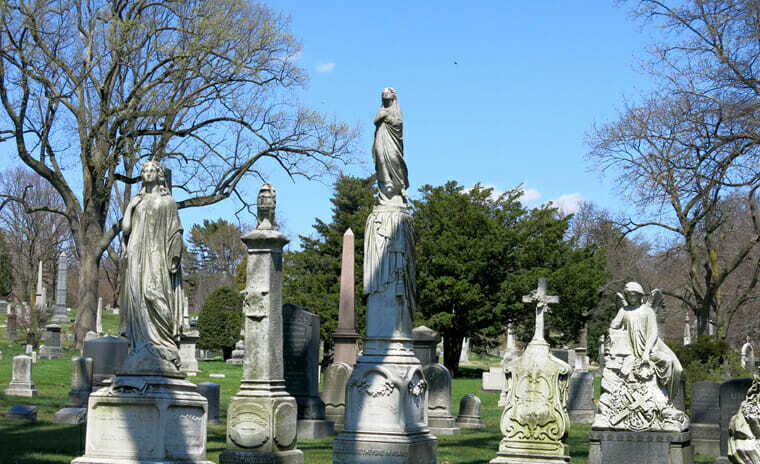 Located on the site of a former plantation, the graveyard has over 100 acres of ornate crypts and elegant sculptures. 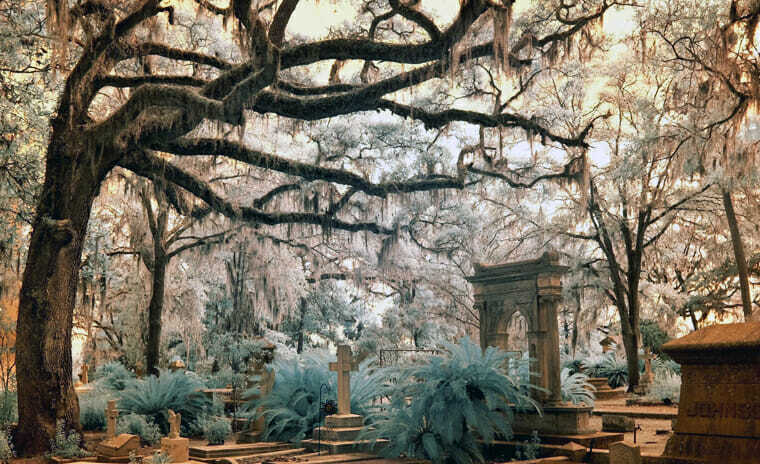 Bonaventure Cemetery is also famous for its majestic oak trees draped with Spanish moss which dwell amongst the graves and gardens of the deceased. The Mount of Olives Jewish Cemetery is an ancient cemetery located on the Mount of Olives, a mountain ridge to the east of Jerusalem. 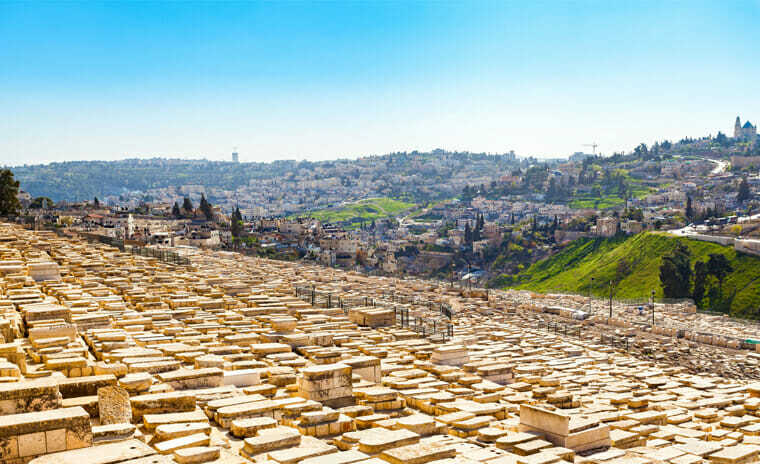 The cemetery offers a magnificent view of Jerusalem city, and the graveyard holds special significance as the site of important religious events. Many famous rabbis, politicians, and cultural figures are buried at Mount of Olives Cemetery, and interments still continue to this day. Opened in 1876, Mount Pleasant Cemetery in Toronto is a designated National Historic Site of Canada. Located in the center of the city, Mount Pleasant Cemetery is a popular memorial and recreational destination with abundant flower gardens, indigenous trees, and serene walking paths. Notable residents include former prime minister William Lyon Mackenzie King, and famous pianist Glenn Gould. 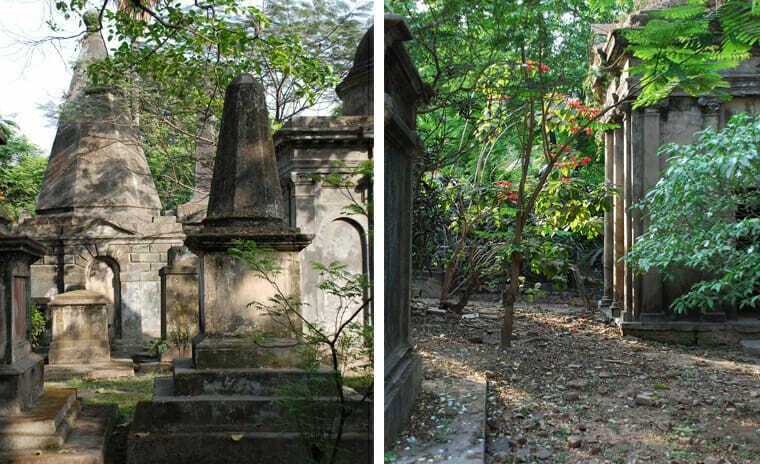 South Park Street Cemetery in Kolkata, India opened in 1767 and operated until the 1840’s. There are over 1,600 grave sites in this private cemetery, featuring a diverse array of Gothic tombs, classic mausoleums, and historic epitaphs which detail the lives of the many British colonialists buried here. 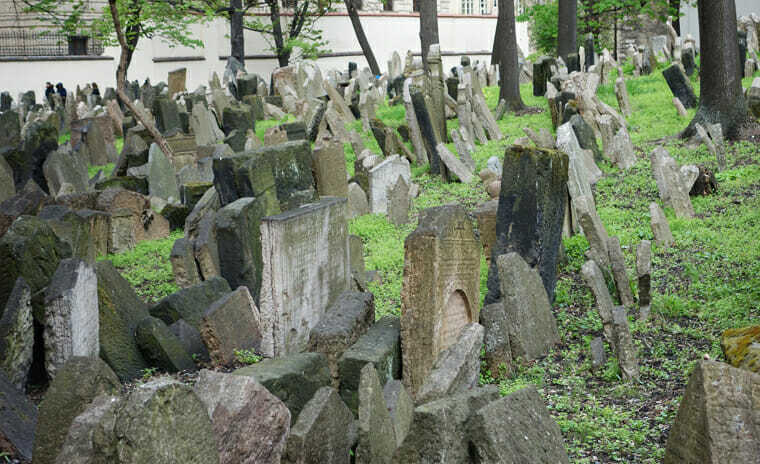 The Old Jewish Cemetery located in Prague, Czech Republic originated in the 15th century. The oldest gravestone dates back to 1439 and it is estimated that some 100,000 people are buried here. You’ll notice that headstones are densely crowded together because Jewish custom does not allow the dead to be moved, so in order to create space for new occupants, multiple layers of soil (up to 12 layers in some places) were heaped on top of older graves. 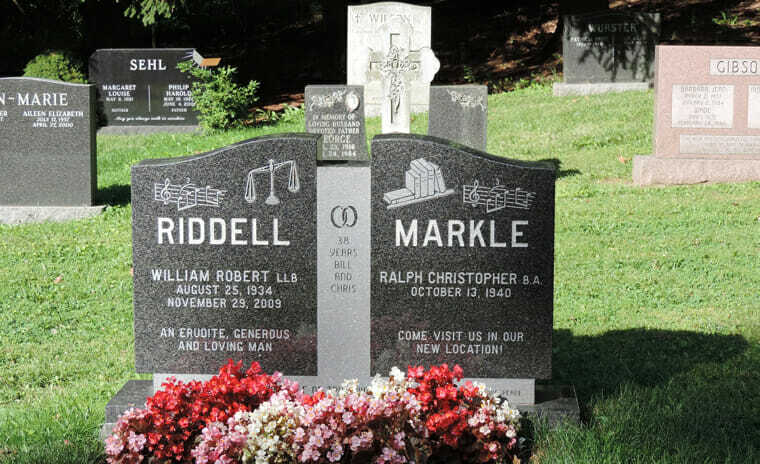 The headstones were then placed as close to the original grave as possible, hence the haphazard style that is a distinct feature of the graveyard. Established in 1866, the Monumental Cemetery in Milan, Italy has been described as a classical outdoor museum. At 2.7 million sq. 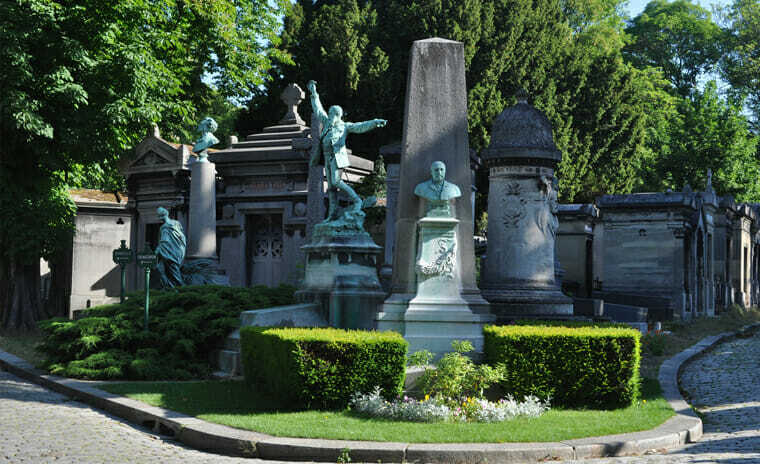 ft., it is one of the largest cemeteries in Milan, featuring an extensive variety of funeral architecture including temple monuments, pyramids, and obelisks. 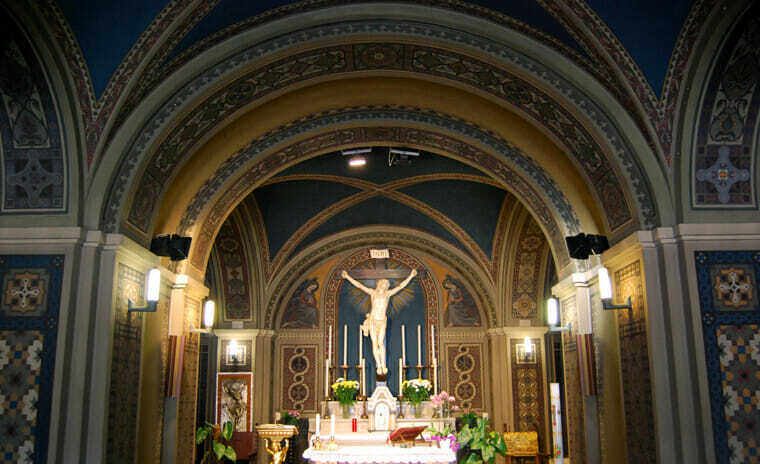 Monumental Cemetery is divided into three zones for Catholic, Jewish, and non-Catholic burials. Guided tours are available free of charge. Founded in 1158, St Andrews Cathedral was the heart of the medieval Roman Catholic Church in Scotland. The site was abandoned in 1561 after the Reformation and fell into disrepair, but it is now designated as a historic monument. 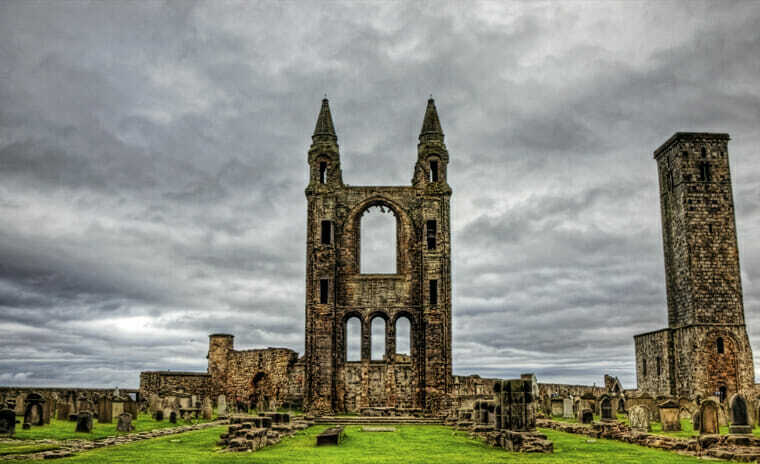 The bones of St Andrew, the patron saint of Scotland, were laid to rest in St Andrews Cathedral Burial Ground, and the impressive tower ruins and memorial tombs draw visitors to the graveyard year round. Green-Wood Cemetery is a New York City landmark and a Revolutionary War site with over 400 acres of beautifully landscaped grounds and historic architectural monuments. Established in 1838, Green-Wood Cemetery attracted thousands of visitors annually, many of whom enjoyed picnics and carriage rides in the park-like setting. Notable residents include Jean-Michel Basquiat (artist) and Susan Smith McKinney-Steward (physician and author). The cemetery is still open for interments. 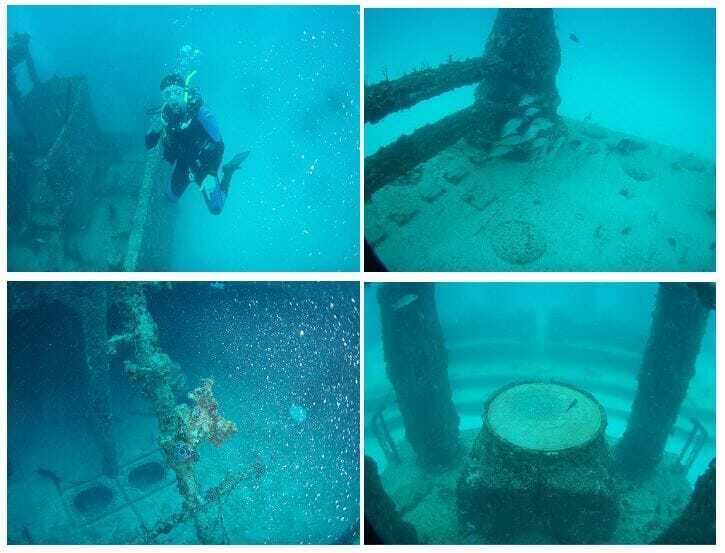 Neptune Memorial Reef is a unique underwater cremation memorial site located 3.25 miles off the coast of Key Biscayne, Florida. This man-made concrete structure opened in 2007 and lies 40 feet deep under the Atlantic Ocean. Inspired by the Lost City of Atlantis, the memorial architecture features columns, arches, and stone roads amidst the submerged graves. Neptune Memorial Reef is accessible by boat, but diving is the recommended way to experience this underwater cemetery. 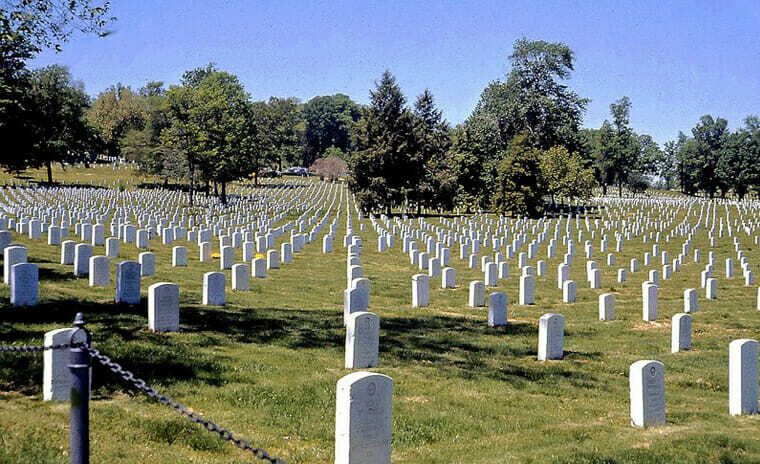 Arlington National Cemetery is the most famous military graveyard in the United States. Situated across the river from the nation’s capital of Washington, D.C., this cemetery contains two presidential gravesites, the Tomb of the Unknown Soldiers, and other notable individuals from all walks of life. Over 400,000 souls are buried here, and the cemetery conducts over 20 funeral services every weekday. Saint Louis Cemetery No. 1 is the oldest existing cemetery in New Orleans, Louisiana, USA. 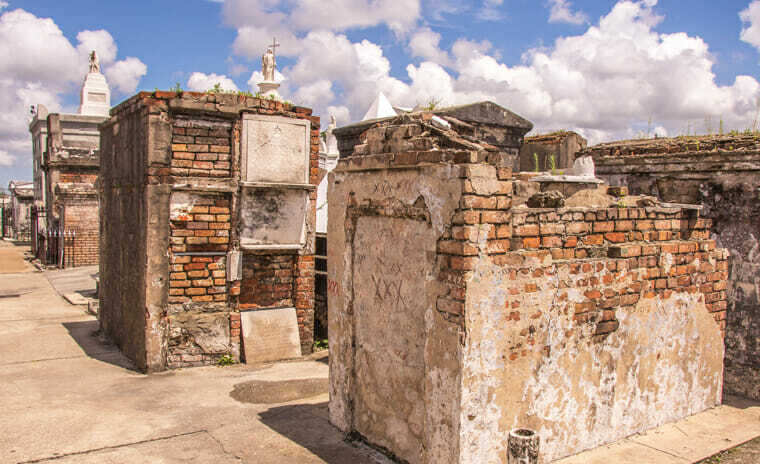 Located just a few steps outside the French Quarter, the cemetery opened in 1798 and is well-known for its countless rows of above-ground vaults and crypts (the “wall vaults” hold the remains of family members in a stacked cabinet fashion). St. Louis Cemetery No. 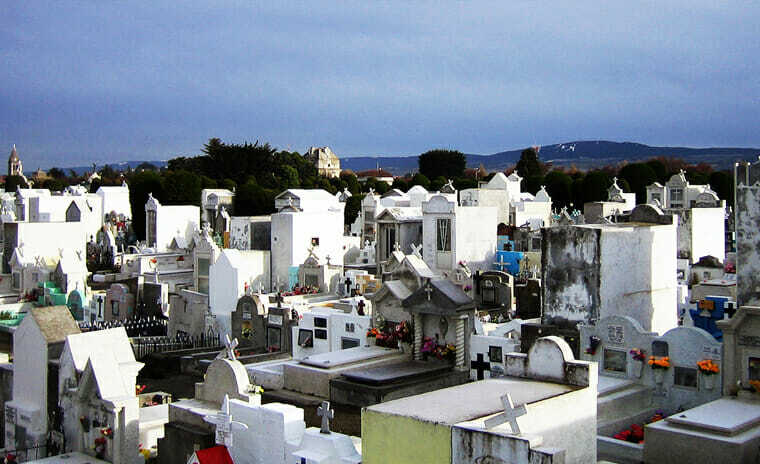 1 is still an active cemetery and attracts over 100,000 visitors a year. 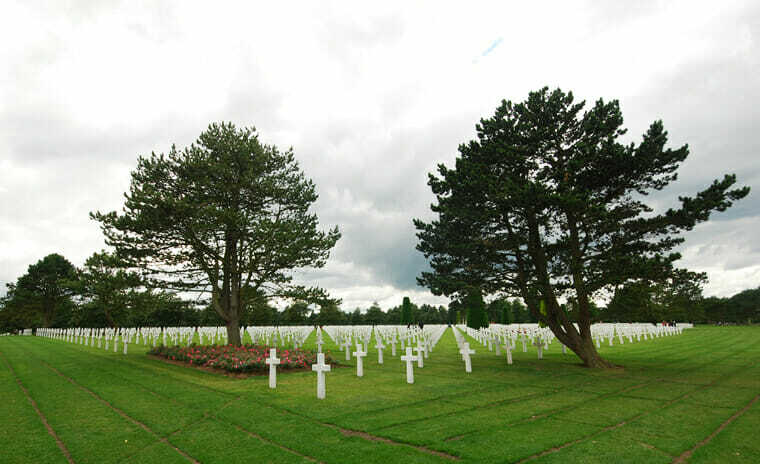 The Normandy American Cemetery and Memorial is dedicated to the American military service members who lost their lives during the Invasion of Normandy. Located in Colleville-sur-Mer in northwestern France, the cemetery is located on the original site of the first American WWII cemetery in Europe. Established on June 6, 1944, the cemetery and memorial holds over 9,000 graves, as well as the “Wall of the Missing” inscribed with 1,557 names. Founded in 1899, Hollywood Forever Cemetery in Los Angeles, California is the final resting place for many Hollywood celebrities and movie stars including Marilyn Monroe, Judy Garland, and Liberace (pianist). 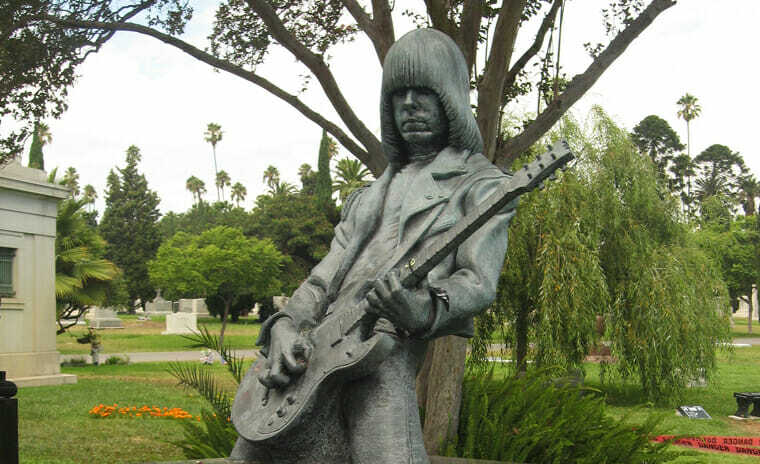 Hollywood Forever Cemetery is also known for its beautiful park-like setting and lush landscapes. It’s a popular recreational spot, especially in the summer, when classic Hollywood films are projected on a mausoleum. This is a must-see event for locals and visitors alike.